Rapid population growth within suburban Edge Counties produces complexities and contradictions that challenge public administration. Migration blends ingrained, conservative values of long-time county residents with the resistance of newcomers’ to high property taxation creating a conservative convergence. The certainty of a Republican victory in a recent congressional election that included a significant part of Cobb County, Georgia was the focus of a previous column. This article describes the challenges created at the county level by this same, regressive culture. A recent editorial, the Marietta Daily Journal distilled the fiscal dilemma of Cobb County. “The question to be asked is why the county had a $20 million hole in the budget it needed to fill with a record-setting 2017 gross tax digest.” The article went on to describe ongoing added expenditures related to staff raises, transit studies, parkland purchases along with the county’s ongoing payments to its commitment for its new Atlanta Braves stadium. New construction and increased property valuations had brought an additional $14 million to the county but revenues were still not sufficient to cover the growing expenditure gap. Cobb County is located at the north-western edge of Fulton County that includes the City of Atlanta. 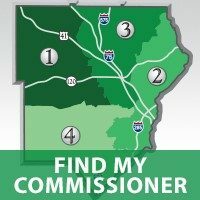 Cobb County is governed by a Board comprised of five Commissioners. Each of the four districts elects one Commissioner joined by a Chair elected on a county-wide basis. The Board Chair had recommended an increase to the millage rate. The potential for additional revenues was available to cover expenditures. Smartasset.com estimated the property taxes paid of a home valued at $250,000 would be $2,130. In neighboring Fulton County, the same valuation resulted in taxes of $2,860 due to their higher mill rate. The difference was telling. But in Cobb County, the vote was split with Commissioners from District 1, 2 and 3 declining to support a higher rate and ultimately voting to support the controversial budget. Cobb County’s 2018 budget process describes a common dilemma found in suburban Edge Counties. Although new developments and growth are often portrayed as adding a financial benefit, in practice their long-term costs usually exceed their ability to generate sufficient revenues to fund the urban service expansions that they prompt. As growth pressures continue, counties are hard pressed to maintain or enhance existing services to meet the escalating demands of an increases population. This includes public safety, transportation and park development along with public health and social services to name a few. In the later area, Cobb County has held a unique and productive relationship with the Cobb Community Collaborative described by Ellen G. Jones in her practicum paper of 2010 as “unique partnership of entities (corporate, public, religious and nonprofit) that collectively seek community improvement.” In addition, new projects such as sports facilities for the Atlanta Braves have placed demands on county resources. To balance the budget, a majority of the Board chose to use contingency funds taken from reserve accounts and eliminate more than $1 million in funding to community charities that provide social services throughout the county. The final public hearing for the budget involved over two hours of emotionally charged presentations, both in favor and opposed to funding of the non-profits. As the East Cobb News reported, District 4 Commissioner Lisa Cupid, who opposed the budget, summed up the uneven outcome. From her perspective, funding the new Atlanta Braves stadium was deemed a priority by the majority of the Board while cutting funding for long-established non-profits that serve ‘real people with real needs” was not. But political tremors that followed the adoption of the budget continued. On November 14, Commissioners voted to restore $850,695 for the Cobb Community Collaborative by a vote of three-to-two as reported by the Marietta Daily Journal. Continuing in opposition were District 3 Commissioner JoAnn Birrell and District 2 Commissioner, Bob Ott. Both represent what is commonly referred to as East Cobb County, the same area that was pivotal to delivering the Republican vote in Georgia’s 6th Congressional District described in the previous column. The conservative convergence within this sub-area of the county was evident once again. Cobb County presents a telling example of the administrative challenges found in growing Edge Counties. Although fairness and balance are vitally important to effective public administration, the migration patterns or social fault lines that newcomers and locals create are rarely factored into public policies. This is especially important when they coalesce into a highly conservative political consensus that impedes the ability to raise revenues required by rapid growth. As Thomas Piketty argues in his recently published book, Capital in the 21st Century, “growth always includes a purely demographic component and a purely economic component, and only the latter allows for an improvement in the standard of living. But in public debate, this decomposition is often forgotten.” However, growth and government revenues are ultimately interrelated to the economic well-being and quality of life of a locality and its region and cannot be reconciled by incompatible political ideologies that place public administration in the middle of the cross-fire.